Our harbor is constructed of solid log crib six feet high and six feet wide filled with rock, no wave shall enter Tomahawk harbor. Floating docks between slips offer a platform to get in and out of the boat and electric outlets at each slip. Premium gas, bait and ice is offered for sale dockside. We have a dock attendant on duty to make your lake access safe and convenient. He will assist you in securing your bait, ice, fuel and anything else you would need. He will also help launch and land your boat from the slip. Dock attendant will also filet your fish and package them to take home. Rental boats are equipped with life jackets, cushions, minnow buckets and nets. Deluxe boats all have depth finders and electric trolling motors. 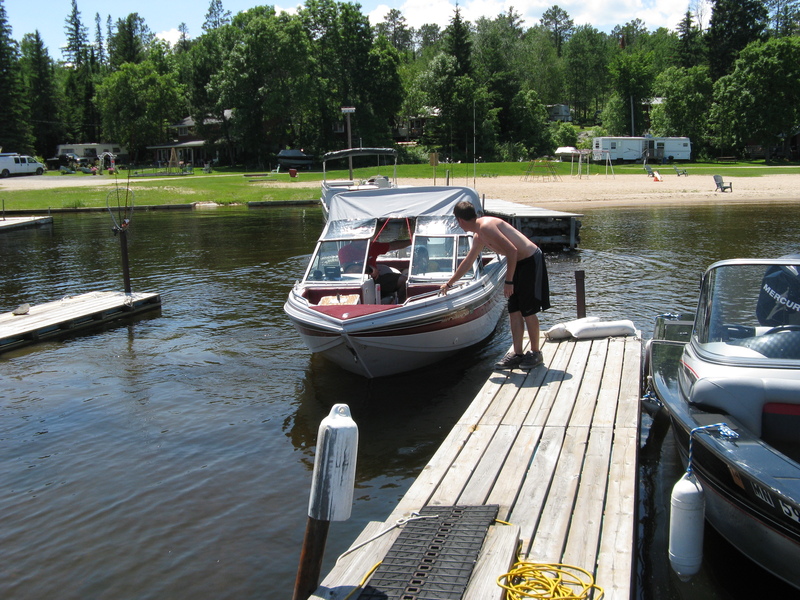 Pontoon: We do not currently have a pontoon to rent, they are available to rent from other resorts by the day or week. We can assist you in securing a boat for you vacation.